Quick overview This selection offers a cross-section from the 6,000 surviving sheets that constitute Leonardo's notebooks, including his thoughts on landscape, optics, anatomy, architecture, sculpture, and painting. Fully updated, this new edition includes some 70 line drawings and a Preface by Leonardo expert Martin Kemp. 'Study me reader, if you find delight in me...Come, O men, to see the miracles that such studies will disclose in nature.' Most of what we know about Leonardo da Vinci, we know because of his notebooks. Some 6,000 sheets of notes and drawings survive, which represent perhaps one-fifth of what he actually produced. In them he recorded everything that interested him in the world around him, and his study of how things work. With an artist's eye and a scientist's curiosity he studied the movement of water and the formation of rocks, the nature of flight and optics, anatomy, architecture, sculpture, and painting. He jotted down fables and letters and developed his belief in the sublime unity of nature and man. Through his notebooks we can get an insight into Leonardo's thoughts, and his approach to work and life. This selection offers a cross-section of his writings, organized around coherent themes. 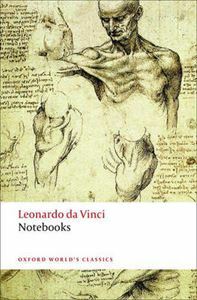 Fully updated, this new edition includes some 70 line drawings and a Preface by Martin Kemp, one of the world's leading authorities on Leonardo. ABOUT THE SERIES: For over 100 years Oxford World's Classics has made available the widest range of literature from around the globe.